With only days left before the opening round of the 2010 NCAA DI wrestling championships, wrestling fans across the nation are seething with anticipation of a donnybrook amongst the top teams in the nation challenging for the coveted team championship. With only days left before the opening round of the 2010 NCAA DI wrestling championships, wrestling fans from coast-to-coast are seething with anticipation of a donnybrook amongst the top teams in the nation challenging for the coveted team championship. Last year’s championship ended with Iowa winning over Ohio State by the slimmest margin in NCAA tournament history by the score of 96.5 to 92. And this year’s may yet again go down in the history books. Five teams descend upon Omaha, Nebraska’s Qwest Center on March 18th with five or more seeded competitors: Iowa (7), Minnesota (6), Cornell (5), Iowa State (5), and Oklahoma State (5). Iowa and Cornell are tied for the most seeded in the top 4 with 4 apiece; they are tied with the most returning All-Americans with 6 apiece, but Cornell may have the edge with high expectations to bring home 3 champions having 2 first seeds and one returning champion. With 3 second seeds, Iowa could easily crown 3 champions before the clock strikes twelve. This year’s struggle for the top spot will be a battle between Cornell and Iowa unless, of course, the unexpected happens which is all too common in these championships. While Cornell and Iowa may have the most celebrated talent competing for a title, Iowa State, Minnesota, Oklahoma State, and last year’s runner-up Ohio State bring an army of studs whom they must pass through to achieve national glory. Iowa State was 2009’s third place finisher falling behind Iowa and Ohio State. They come to Omaha with new coach Kevin Jackson and four returning All-Americans: Jonathan Reader, 7th in 2008; Jake Varner, 3x AA; David Zabriskie, 2x AA, and Nicholas Fanthorpe, 1x AA. With 5 seeded wrestlers in the top 8 and 3 in the top 4, the Cyclones will be challenging for a top 3 finish, but they need their less accomplished wrestlers to score points and break the AA ranks. Minnesota, ranked 2nd by InterMat, has the second most seeded wrestlers in the top 8 with six. Three are returning All-Americans: Jason Ness, a senior and 3x AA; Dustin Schlatter, a 2x AA and 2007 Champion; and Zachery Sanders, 4th in 2009. With 9 qualifying studs, Minnesota comes to Omaha with a mixture of depth and accomplishment. While their top tier wrestlers are near locks for AA status, to challenge for a title their 2nd tier athletes will need to demonstrate their mettle. Minnesota will be in the mix for a top five finish, but a top three is unlikely this year. Oklahoma State, ranked 3rd by InterMat, comes to Omaha with 9 qualifying wrestlers, 5 seeded in the top 8, and 3 seeded in the top 4. With no returning All-Americans in their talented crew, this year’s performance will give us a hint of what to expect in 2011 when they return all but 2 of this year’s competitors. Oklahoma State will challenge for a top 10 finish and may be in the mix for a top 5. Never count out last year’s runner-up, Ohio State, to challenge for a title. Lead by celebrated Head Coach, Tom Ryan, they’ve never finished lower than top ten during his short tenure. In only his first year on the job, they punched through a top 10 finish after placing 45th the year before. The Buckeyes march on Omaha with 7 warriors. Three are returning All-Americans: Reece Humphrey, a senior and national runner-up; Lance Palmer, a senior and 3x AA; and Mike Pucillo, a senior, 3x AA, and a 2008 national champion. If the Buckeyes get a few of their less accomplished freshmen and experienced wrestlers to steal AA credentials, they will challenge for a top 3 finish, but a title from this crew may be too much to expect this year. Finally, Lighthouse’s top five predictions are 1) Cornell, 2) Iowa, 3) Iowa St, 4) Minnesota, and 5) Ohio State. Yes, you heard it here first. 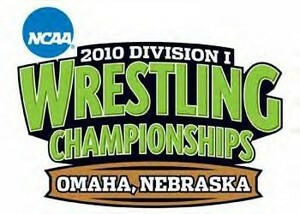 2010 will mark the beginning of the Big Red Storm where they will begin to leave a perennial path of destruction at the NCAA championships for the next few years to come. The 125 pound weight class factors prominently in the team standings with seeded athletes from Cornell, Iowa, Iowa St, and Minnesota competing for a title. While Nickerson has been nursing a nagging shoulder injury, he proved in 2009 that he has the mental toughness to repeat when he won the championship in spite of multiple shoulder dislocations throughout the tournament. This 5-times New York State champion record holder, 3x All-American, and 1x champion has the experience of getting it done when it matters most over his younger but talented competitors. If anyone can dethrone the reigning champ, it is Angel Escobedo. With a 33-0 record and the number one seed, Escobedo is highly accomplished, having earned 3 All-American honors and as well as the 2008 National title at the same weight class. In their only match-up in 2010, it was Escobedo getting the “w’ when Nickerson and the Big Red coaching staff opted on the side of caution, injury defaulting in the first period of the Southern Scuffle finals following an aggravation of the aforementioned injury. In all previous meetings, it had been Nickerson getting the better of the match-up, including a win in the 2009 NCAA semifinals. With Joe Dubuque, the wrestler who beat Nickerson in the 2006 finals, now back at his Alma mater, Escobedo should take center mat with a perfect game plan for upending his nemesis. One thing is for certain, should this match-up materialize, it will no doubt be a battle to the closing seconds. One wrestler who might stand in the way of seeing a battle of former National Champions, is Iowa redshirt freshman, Matt McDonough. A winner of his first 32 matches this season, if there is one wrestler who is as hungry (if not more so) to beat Escobedo, it is McDonough who suffered his only loss in the season in the Big-10 finals to the Hoosier wrestler….An advocate of the Iowa style, McDonough attacks from the opening whistle and does not stop until the final buzzer sounds. Much like many of his more experienced teammates, McDonough gradually wears you down to the point that he owns you in the final two minutes of every match. With Nickerson only having 14 matches under his belt this season, conditioning could be an issue. McDonough will test the heart of Nickerson as well as any of his other opponents. If you are a fan of non-stop action, McDonough is the man for you. In addition to his bottomless gas tank, the youngster is solid in all three spots on the mat. Equally dangerous on the top-half of the bracket is #4 seed and returning All-American, Anthony Robles (Arizona State). The surprise and feel good story of the 2009 tournament, Robles wrestled his way in the semifinal last season before falling to eventual National runner-up Paul Donahoe (Edinboro). Robles would have to settle for 4th in St. Louis, but in doing so, he put to bed any misconception that his physical condition (only has one leg) is going to limit his ability to accomplish great things in this sport. An absolute beast on top, if you are to beat the Sun Devil junior, you must put yourself in a position to avoid having to go down under this tilt master. Because, when he does get on top of you, he racks up points in bunches…Should the seeds hold up, it is important to note that Escobedo has won all previous meeting over his ASU counterpart, including a finals victory in the Vegas Invitational. A potential spoiler at this weight is Steven Keith of Harvard. As an unseeded wrestler at the EIWA championships, he upset a few wrestlers along the way to take the bronze. His only loss was to Troy Nickerson. This 2x New York State champion and freshman is maturing into a competitive collegiate wrestler. After knocking on the door to an NCAA championship in his first three attempts, Jayson Ness, a 3x All-American and 1x National runner-up, aims to end his collegiate career with a Gold Medal in 2010. He goes into the tournament with an unblemished 26-0 record. His likely challenger is Daniel Dennis a senior from Iowa and 7th place finisher in 2009. However, just to get to Dennis will be no easy task for the Minnesota senior. In the quarterfinals, he will meet the winner of returning All-American Steve Bell (Maryland) or 2010 Midlands Champion, fab frosh Tyler Graff of Wisconsin. On any given day, both are capable of pulling the upset. Hence, the Gopher captain can little afford to sleep on either opponent. Should Ness emerge from his quarterfinal match-up, it is presumed he will be met by another talented redshirt freshman, Big-12 Champion Jordan Oliver of Oklahoma State. A winner at every level of his wrestling career, the Keystone State native has a cockiness that one must possess in order to achieve immense success at the highest levels of competition. Oliver goes into every match expecting to win, and in most cases he is right, as evident by his last second victory over Dennis in the Iowa/Oklahoma State dual several weeks ago. A junior World Bronze medalist this past year, Oliver (along with Graff) is the future of the 133-pound division. He is as slick as they come from his feet, and is capable of hitting the big move, as he proved in his Big-12 finals victory over Nick Fanthorpe of Iowa State. In the quarterfinal round, Dennis likely meets up with Mike Grey of Cornell. Grey, a former AA in 2008 and New Jersey’s first 4-times state champion, has the talent to upset the number 2 seed from Iowa. With a Cornell upset here, Cornell will earn some key points. The kind of points that go a long way toward turning runner-up finishes into team titles….Should Dennis get his hand raised, his path to the elevated mat does not get any easier as it strongly believed that he will be pitted against returning National Champion, Franklin Gomez in bottom half of the bracket. While Dennis has been the proverbial thorn in Gomez’s side, beating him several times over the course of their four-year careers, it would be unwise to discount the fact that it is Gomez who is the one who has been in this position before. Therefore, in what should be an action packed, down to the last second war, it could be that it is Gomez’s experience advantage that proves to the difference in this battle of the #2 and #3 seeds. Also competing at 133 is Buckeye freshman, Ian Paddock, a 3-times New York State Champion. Should he defeat his first round opponent, he’ll faceoff with Ness in the 2nd round. Bison senior and former New York state champion, David Marble aims to end his collegiate career with All-American honors. In 2009, Marble proved he is capable of knocking off the top seed when he defeated James Kennedy the third seed in the opening round. Completing the trio of New York Staters will be Buffalo wrestler, Kevin Smith. A multiple-time NYS placewinner during his high school days, Smith has been very consistent over the course of his career. Reaching as high as the #12 ranking in the nation this season, Smith proved his capabilities when he upset current #6 seed, Mike Grey, earlier this season…Making the medal stand will be no ease task for the UB wrestler however, as the blind draw has him matched up with #2 seed, Daniel Dennis in the opening round…Smith is currently ranked 17th in the nation by InterMat. 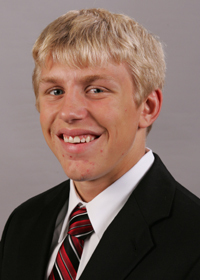 Kyle Dake didn’t miss a step in his transition to the college ranks. This 3x NHSCA Champion and 2x New York State champion has been storming through the competition in his debut season, and in the process has earned the number one seed. Having missed a month of competition going into the EIWA championships, he looked a little rusty on day one, but come final time, Dake was back to original form, and then some, as he easily defeated his final opponent while demonstrating the talent that has made him the talk of freshman field in 2010….Expected to push the former Lansing High School great in the top half of the bracket is returning national finalist (at 133) Reece Humphrey, as well as the #5 seed out of Oklahoma, Zach Bailey. Each has accounted for one of Dake’s two losses this season and will not have the added pressure of carrying that top-seed. For Humphrey, whose father is an accomplished wrestler and coach (served on the staff of both US and Canadian Olympic team), a title in 2010 will make amends for last season’s loss to Gomez. As if he needed any extra motivation, Humphrey will head into the big dance fresh off of a loss in the Big-10 finals. As talented a thrower as you will find in the country, it will be interesting to see who gets the better of the exchange should Humphrey elect to go upper-body against the former Junior world Greco-Roman team member, Dake. Bailey, who himself is looking to rebound from a conference finals loss is not as flashy as Humphrey, but is extremely fundamentally sound. He seems to rely on his strong defense to keep matches close, and then picks his moments to get match winning takedowns late in bouts. If Bailey beats both Humphrey and Dake, you should expect it is because he was successful in controlling the action and keeping match relatively low scoring (in the 3-2, 4-3 range). New York State Alumni Anwar Goeres, a Binghamton Bearcat, 2010 CAA Champion, and 2005 NY State champion, meets 3rd seed Thorn in the first round. This is a first round match to watch as Goeres is capable of the big upset. After an upset loss to Darrion Caldwell of North Carolina State in the 2009 finals, Metcalf descends upon the Qwest Center on the heels of an upset loss to Lance Palmer at the Big Ten Championship by a commanding score of 9-3 (Palmer first victory over the 2008 Dan Hodge Trophy recipient). While no longer carrying the tag of “Mr. Invincible”, it is hard to foresee a wrestler of Metcalf’s ability and prestige dropping matches to the same opponent two weeks apart. One thing is for sure, while on the grounds of their collective careers (and not just one weekend in three years), we at LHW still give Metcalf the mental edge, it goes without saying that Palmer has no intention of lying down and giving the title to his Big-10 rival. If Metcalf wants to regain the hardware, he is going to have to earn every ounce of it. For Palmer, the key to making it consecutive victories over Metcalf might be his ability to get legs thrown in and shorten the match. Regarded as far back as his scholastic days, Palmer has been famous for his power-half. While we do not think he will be able to turn Metcalf for near-fall points, the ability to accumulate riding time could go a long way towards winning a very close and hard fought battle. Forget the 9-3 score of their last bout. For those of you who witnessed it, you know it is not reflective of the wars that these two seniors have anytime they meet in the center of the mat. Assuming it comes to fruition, this 149-pound should be one of, if not the most highly anticipated match of the finals session. Despite being the #2 seed, we predict that Metcalf will cruise through to the finals. But alas, the same cannot be said for the top-seeded Palmer. If all goes accordingly, Palmer will have the unpleasant duty of having to dispatch #4 Kyle Ruschell of Wisconsin in the semifinals. It was Ruschell who defeated Palmer in critical consolation bout at last year’s National tournament in controversial fashion. While none have ever placed the blame on their senior wrestler, it has been the opinion of many Buckeye enthusiasts that it was this loss that ultimately ended up depriving Coach Ryan and staff of their first team title…At the Big-10 tournament, Palmer was able to enact some degree of revenge. However, the question becomes, can he do it when all of the marbles are at stake…Both Palmer and Ruschell are excellent riders. Therefore, it is possible that the winner will be determined by who is able to do the better job from the top position. Returning All-American Frank Molinaro (Penn State), with his plethora of strength in his compact body is another of the Big-10 wrestlers that demands attention and mentioning. After an up-and-down redshirt freshman campaign in 2009, Molinaro proved that the only thing that matters is what you do in mid-March, rallying to finish in the top-8, much to the surprise of the majority of amateur wrestling aficionados. Four New York competitors compete in the 149 weight class: Donald Vinson, RSFR from Binghamton; Desmond Green, RSSO from Buffalo; and Kyle Borshoff, Sr from American. Green earned the 11th seed, but it is Borshoff, a returning All-American who might be the most dangerous of the bunch. Owning an unofficial win over Palmer in the NWCA All-Star Classic, the American wrestler has shown that he is more than capable of knocking off even the best of guys on a given day. After finishing 5th at the EIWA tournament (which put him on the bubble of qualifying), Borshoff knows that he has been given second life. Now, the question becomes, what will he do with the opportunity? While we do not see him beating Metcalf in the quarterfinals, the talent is there for him to make a run in the consolation bracket and get back on the podium for the second time in two years…Green, with his amazing athleticism is also a very bad draw for any of the wrestlers on the bottom half of the draw. Expect for him to beat Virginia’s Shawn Harris in the 1st round and then push #6 seed, Matt Kyler, the EIWA champion out of the U.S. Military Academy for every second of the seven minute match….Rounding out the field of the Empire State’s finest is Edinboro junior, Torsen Gillespie. The EWL Champion in 2010, winning is a family affair for the Webster Schroeder product. His brother, Gregor, was a four-time All-American and the 2007 National Champion for the Fighting Scots. A wrestler who has spent the majority of his career in and out of the national rankings, Torsten is more than capable of pulling an upset or two as demonstrated by his pair of wins over the 17th ranked wrestler in the land, Clarion’s talented freshman James Fleming (Gillespie’s opponent in the conference finals). A winner of seven of his last eight matches (four straight), it could be said that Torsten is saving his best wrestling for when it matters the most…A favorite in his opening round match against Tennessee-Chattanooga freshman Dean Pavlou, Gillespie would likely prefer to see unseeded Glenn Shober (U.S. Naval Academy) upset the #4 seeded Ruschell…Gillespie has split with the Midshipman wrestler in 2010, winning their last bout by a score of 4-1….If the opponent is the Wisconsin Badger, that could spell trouble for Gillespie, who taking shared 2010 opponents into consideration, has dropped a few matches to wrestlers that Ruschell has been able to handle. This Harvard Grappler has already made the history books being the first Harvard freshman to achieve All-American honors with a 5th place finish in 2007. After repeating in 2008, O’Connor fell short losing a 1-0 decision to Gregor Gillespie in the Quarterfinals and a 2-1 decision in the wrestle backs. Entering the 2010 tournament as the first seed, O’Conner is positioned to exit his college career with the elusive Gold Medal….Presenting the biggest challenges to his goal will be whichever wrestler emerges from the #4/#5 quarterfinal match. #4 Cyler Sanderson has a style that could be problematic for O’Connor. Unlike the reigning EIWA champion, who implores more of a defensive style, Sanderson, much like his older brother and current, Cael [4x undefeated National Champion; 2004 Olympic Gold Medalist] likes to push the action and light up the scoreboard by piling up takedown after takedown. If pitted against a non-offensive minded wrestler like O’Connor, Sanderson can go into the match knowing that one or two TDs will likely be enough to advance to the elevated mat. The winner of this match will be the one who is able to force the other to adapt to his style. Low scoring=O’Connor; high scoring=Sanderson…..But, as mentioned earlier, another serious contender to come out of the top-half of the bracket is American’s Steve Fittery. The 157-pound champion at the Midlands this year, Fittery has been one of the biggest surprises of the current season. While we all knew he was good, few of us realized just how good. When he pinned former Purdue All-American Jake Patacsil in the first period of the aforementioned Midlands final, the secret was out of the bag….Having suffered only his second loss of the season in the semifinal of the EIWA tournament, Fittery was unable to give the fans the showdown with O’Connor that we all wanted to see. This week, he will get a second chance to set up the match-up of the #1 and#2 ranked wrestlers in the conference. On paper, his expected challenger is Adam Hall of Boise State. When they met earlier in the year, O’Connor edged him out in a 2-1 overtime decision….However, similar to the situation at 133, one would be naïve to dismiss the possibility that former National Champion, Dustin Schlattler, could emerge from his spot as #6 seed to win it all. Already a 3x All-American, Schlatter, who took 2009 off to train in freestyle (a decision that paid off when he made the U.S. World Team), started the year off at 165, winning the Southern Scuffle before eventually moving down to 157 when the NCAA ruled that 2008 Olympian, Jake Deichler, would be ineligible for the Gophers in 2010…Since making the drop in weight, Schlatter has been as impressive as ever. Don’t let that #6 fool you. Had Schlatter and the UM staff not made the decision to medical default out of the Big-10 tournament, it is more than likely that he would looking at a #2 or #3 seed. However, a testament to the self-belief this young man has in himself, he made the decision to rest so that he could come to Omaha in the best possible shape to make a run at a return to the top spot of the podium. Three New York wrestlers from the CAA conference compete at this weight:, Justin Lister of Binghamton, Jonny Bonilla-Bowman of Hofstra and Joe Booth of Drexel. Bowman opens the tournament against Hall. When Bowman is on the top of his game, he’s capable of knocking off anyone. Hall will have to fight all 7 minutes to defeat this Pride wrestler as its nonstop action from the opening whistle to the last….UPDATE (3/18/10 11AM): Bonilla-Bowman will have to scratch from the tournament due to injury…A very unfortunate way for the senior from Ramapo, NY to conclude his collegiate career. Booth, a promising freshman, opens with the third seed Jesse Dong of Virginia Tech. Dong can’t take this New York native lightly as he’s been growing with every bout under his belt. Owning a win over both Bonilla-Bowman and Booth, it was Lister who was crowned this year’s CAA Champion. A former 3x NYS finalist during his scholastic days, the Bearcat sophomore has had a consistent campaign in 2010, posting nearly 30 wins (28-8 overall), including a 7-0 victory over EWL runner-up and fellow national qualifier, Hadley Harrison of Clarion….Opening the tournament with revenge on his mind, Lister will be pitted against 11th-seeded Neil Erisman (Oklahoma State), the last wrestler to defeat the BU wrestler, 9-3 in mid-February…Should Lister be successful in avenging the previous loss to the Big-12 runner-up, the journey to glory does not get much easier as he would face the winner of the bout between #6 seeded Schlatter and former national top-10 ranked Tar Heel, Thomas Scotton. To make the awards stand, Lister will have to do the best wrestling of his career. The blind draw did not do him any favors. A fourth NYer that fans should not sleep on is Central Michigan senior, Steve Brown. Up from 149 in 2009, Brown has always been a guy who pushed the best in the nation to the very limit. Last season, it was Brent Metcalf; this season it was returning National Champion Jordan Burroughs, who Brown beat 3-2 (although Burroughs was soon discovered to have a serious injury that would end his season)…The 2010 MAC Champion, Brown is the 11th ranked (but seeded 12th) wrestler in the nation, thus putting him on the cusp of earning All-American honors. Matched-up with streaking Citadel freshman Turtogtokh Luvsandorj, Brown will not be handled advacement to the round of 16. However, given his experience of having been here before, we expect Brown to win, thus setting up a rematch with #5 Fittery, a wrestler who got the better of their only match-up this season, 8-4 all the way back in November. This weight is likely to see a rematch of the 2009 finals when King edged Howe by 3-2 decision to win the 165 pounds championship. While Howe has the undefeated season and the first seed, King’s only loss was suffered to an opponent whom he defeated previously. As we witnessed last season, in a low scoring affair (which is descriptive of most Howe matches), all it takes is one amply-timed body lock and the Edinboro senior can double his pleasure, double his hardware. As exciting as the finals will be at 165, it is the semifinal round that should be of most interest as several guys have the talent and motivation to rise up and claim the spotlight. Regarded as the favorites to challenge the top two seeds, Nick Marable, the third seed, and Jonathan Reader, the fourth seed, have both pushed Howe to overtime decisions. Though Howe has reigned victorious, the pressure of a semifinal bout can be a factor in an upset. Don’t leave your seat for popcorn while this semifinal round is being contested. In a season that seems to feature at least one in each weight, the top freshman at 165 should be Oklahoma State’s Alex Meade. Having defeated both Schlatter and returning All-American Ryan Morningstar (Iowa) during the season, Meade has more than showcased the ability to hang in and get the best of any man in the nation. While we think the time to contend for the National title is probably closer to 2011, it would come as no surprise to us to see him manage a low (6th-8th) All-American finish. If he does, the points he will earn for his team will be invaluable as they look to defy the odds and triumph over perennial rival, Iowa in a payback of the 1997 season (Gable’s last year at the helm of the Hawkeye dynasty) when it was the heavily favored Cowboys who had to watch as U of I rose to the occasion and took home the team title. Moving up two weights from 149 is New York native and Long Beach product PJ Gillespie. He has the frame and now the muscle mass to be a threat at 165. This young man peaks at the end of the season. Last season he defeated Fittery (Lockhaven), who defeated the 2nd seed Bubba Jenkins (Penn St) for a berth in the quarterfinals where he lost a 3-2 decision to Bryce Saddoris of Navy. After dropping a 7-5 decision in the wrestle backs, he was one loss away from All-American honors. Joining Gillespie among the NY faithful is fellow CAA representative, Matt Kaylor of Binghamton. With 34 wins in total on the year, one can not question that this kid knows knows how to get his hand raised. The draw did provide him with a very winnable opening round match against the U.S. Naval Academy’s Robert Neill. However, awaiting him in the round of 16 will be #4 seed, Reader of Iowa State…I can’t see the 4th place finisher at the CAA tournament surviving such a tough test. Therefore, if any damage is to be done, it is going to have to come by way of the consolation bracket. Having split on the season wit his fellow New York counterparts is the third wrestler from the Empire State, John-Martin Cannon of Buffalo. Owning a win over Kaylor, but suffering a loss to Gillespie, Cannon’s 2010 campaign can be described as solid (22-14 overall record). The runner-up in the MAC conference in 2010, Cannon will run into a buzzsaw immediately in the person of Ohio State junior, Colt Sponseller. If Cannon has any shot at all of pulling the upset, it is going to require that he stop the Buckeye’s bread-and-butter high-c attack. Looking to erase the memories of last season’s national tournament will be top-seed Mack Lewnes, who moved up to 174 in 2010. 35-0 and the top-seed (@ 165) at this time last season, what Lewnes had envisioned would be a dream season in 2009, quickly turned nightmarish, as he dropped his opening bout of the National tournament, 6-4 to Hofstra’s Ryan Patrovich, an opponent he had defeated in all of their previous match-ups. Lewnes would struggle again in the consolation round, dropping another close one to leave the Cardinal City without an All-American distinction…However, this is a new year and I’d be remiss if I did not describe the Cornell junior’s season as damn near amazing. 36-0 following yet another EIWA title, It did not take Lewnes long to set the tone for the 2010 season. In one of his first bouts of the season, Lewnes came out and put a beating on All-American contender, Mike Letts, of Maryland, scoring needed bonus points in a dual that would eventually end in a deadlock…Not much changed from that point forward. Time-after-time Lewnes has taken the mat and dominated his competition. In fact, so impressive has been the School of Hotel Motel Management major that it is the opinion of some Big Red loyalists that no one will be able to challenge him this week in Omaha. Looking to prove those Cornell supporters wrong is Big-12 Champion, Stephen Dwyer of Nebraska. 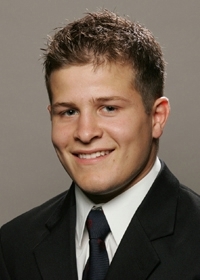 Like Lewnes, Dwyer is no stranger to the podium, having earned All-American distinction in 2008, before missing the honor last season….With a 24-3 record on the year, Dwyer owns wins over many of the wrestlers in this year’s national tournament, including a 9-3 victory over #5 seed, Scott Glasser (Minnesota), the wrestler who is slated to be his opponent in the quarterfinal round. On the bottom half of he bracket is the wrestler who has been on a collision course with Lewnes all season, Jay Borschel, who enters the tournament as the second seed and also will bring an unblemished record ( 32-0) to the Qwest Center. The similarities between the two do not end at the immaculate records. Like Lewnes, Borschel came extremely close to reaching the pinnacle in 2008 (finishing 3rd). However, the Big-10 Champion was unable to repeat his success as he failed to place last season, a memory that has and continues to motivate him every time he steps on a wrestling mat for practice or competition. A member of the now famous VT recruiting class that all lost a year of eligibility when they collectively decided to follow Head Coach Tom Brands to Iowa when he accepted the position at his alma mater, Borschel knows that 2010 represents his last opportunity to go home with the Gold. Borschel should receive his first test early on when he is matches up with #7 seed Ben Bennett (Central Michigan) in the quarterfinals. A former NHSCA Senior National Champion and Junior National freestyle Champion during his days as a scholastic wrestler in Michigan, the redshirt freshman opened a lot of eyes at the CMU wrestle-off when he defeated returning National runner-up, Mike Miller (who was forced to move to 184) for the starting spot. He has not disappointed since, compiling a 21-5 overall record. In a finals bout that is likely to have team championship implications and two undefeated warriors, this may be the 2nd most anticipated and exciting of the evening. Josh Patterson of New York fame marked a milestone for the Binghamton Bearcats when he earned an 8th place All-American finish in 2009. He’s the first All-American for the Bearcats, a team that was resurrected from the ashes only 4 short years ago. Patterson, known to peak as the season closes, defeated Bagna Tovuujav of George Mason in the CAA finals by 16-6 major decision, an opponent he lost to earlier in the season. With nearly 30 wins (27-9) on the season, EWL runner-up Nate Graham (Bloomsburg) will be looking to make some noise in Omaha. A winner of six of his past seven, the unseeded wrestler seems to be in every match, as demonstrated by a narrow 2-0 loss to the seventh-seeded Bennett of CMU…His first round of match-up against Ohio’s Jacob Ison should be a burnbarner. Unfortunately, the winner of the match might feel like a lamb led to the slaughter as the round of 16 opponent is sure to be #1 ranked Lewnes of Cornell. As mentioned previously, Lewnes did drop an early match to a NYer in last season’s National tournament. However, I am not feeling deja vu. 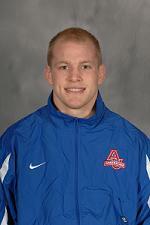 Standing in the AU senior’s way will be Pac-10 champion, Kirk Smith of Boise State. Undefeated on the season, Smith is one of only two wrestlers who have been able to defeat Dergo (the other being our other finalist at 184, Askren). While he has not been challenged as much as some of the others highly seeded wrestlers in the field, Smith does also have a win over #7 seed, Joe LeBlanc (Wyoming). Therefore, one would be wrong to question the validity of his unblemished record. A third wrestler from the top half of the bracket that should be in contention to make some serious noise is Oklahoma State junior, Clayton Foster. The 2010 Big-12 Champion following a solid victory over Askren, Foster is hitting his stride at precisely the ideal time, having won 11 of his last 12 matches (including five straight heading into the tournament). Much like pitchers in the World Series and Goalies in the NHL playoffs, a smart fan never underestimates a guy on a hot streak. Foster is one of those guys right now…. University of Iowa returning All-American, Phil Keddy is another guy who has the potential to go all the way. Askren (Missouri), the brother of the Tigers’ former 2x National Champion/Hodge Trophy recipient, Ben, moved down from his former weight of 184bs this season because he saw it as his best opportunity to capture the Gold that had escaped him in his first three tries. At 197 he was a 2-time All-American, earning 5th and 7th place finishes. Though he comes in as the sixth seed, expect his experience to make a difference in the bottom half of this weight class…As talented a scrambler as any in the nation, at all times during a match, Askren is capable of locking something up for big points. Against an opponent like this, no lead is truly safe….With a previous win this season over Dergo, the Tiger senior has to like his chances to make it to the elevated mat. However, before he can even worry about a semifinal match with the Illinois grappler, he must first get through a very tough opponent in #3 seed, Dustin Kilgore of Kent State. 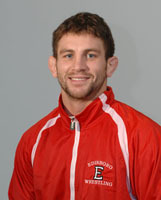 A winner of 30+ matches in 2010, Kilgore’s only loss was in the finals of the Southern Scuffle to Edinboro wrestler, Chris Honeycutt, who is redshirting this season. Himself a winner over LeBlanc, if Kilgore was not already on the map before hand, he staked his claim early when he beat 2x NCAA finalist/2008 National Champion Mike Pucillo (Ohio State) in the finals of the Oklahoma/Brockport Classic back in the first month of the season. Speaking of Pucillo, it is not often that a returning 2-time NCAA finalist finds himself in the position of being the #10 seed as a senior. However, having been plagued by injuries all season, Pucillo finds the deck stacked against him. In fact, in possibly one of the most peculiar and unexpected pigtail matches in NCAA history, it will be the Buckeye senior pitted against fellow returning finalist, CMU’s Miller. Instead of the spoils, to the victory goes a match-up with #7 seed LeBlanc and the possibly a quarterfinal match with Dergo, who owns multiple wins over Pucillo this season. Like some of the former weight classes, tune into the semifinals of this weight class where the top-four will battle for a berth in the finals. The lone members of the Empire State to qualify for the National tournament at this weight class was CAA Champion, Nate Schiedel of Binghamton. Having started the year as 197-pounder, the Bearcat wrestler moved down to 184 at the midway point of the season when the spot opened up his teammate, Patterson’s decision to drop to 174. The move has paid off for both wrestlers. A winner of 15 of 16 bouts at the lower weight class, Schiedel is a monster at 184. In making him compete at the conference tournament, he seemed to easily overpower his opponents…Given his extensive Greco-Roman success as a scholastic wrestler, this strength advantage should come in handy should he feel the urge to throw an opponent for five (if not for the fall)…Like Graham at 174, Schiedel has a very good chance of winning his first bout of the tournament. However, a victory will ensure him a bout against top-seeded Kirk Smith. Entering the tournament with an unblemished 26-0 record and a returning national champion/3x AA, this is Varner’s tournament to lose. Now that doesn’t mean he’ll go unchallenged, it’s just that no one who has given Varner a competitive match finishes with their hand raised….Heck, if you look at the bracket, the NCAA might as well just save Varner the effort and give him a bye into the national finals. 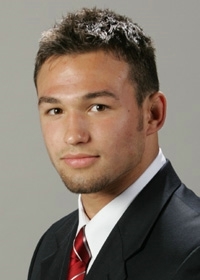 After all, barring a major upset, his semifinals opponent is penciled in as Cornell’s returning All-American, Cam Simaz, a wrestler that Varner tech falled in the dual between the top-10 institutions of higher learning…Once criticized for his lack of offensive prowess, Varner has managed to stay on the attack more consistently in 2010. Joining Schlatter as the only other collegian to make the U.S. Freestyle World Team, Varner is so strong that it is nearly impossible to get him out of position or finish the few shots you do get in on. That Herculean strength is also a major asset in his top game as he routinely rides out entire periods to keep foes off of the scoreboard…Known to have a very effective ankle pick (a move he no doubt learned from his former coach, Cael Sanderson), Varner has demonstrated the extent to which his arsenal has been developed under coach Jackson, hitting a lateral drop in the Big-12 finals, much to the satisfaction of the crowd…Despite having won a National title last season, Varner has the rare distinction of being a 3x finalist who has never secured a takedown on the elevated mat. However, with his new found aggression and an enhanced bag of tricks, we fully expect that statistic to become a thing of the past. Hudson Taylor, a Blair Academy alumnus, accomplished two consecutive 3rd place finishes. This 3x prep national champion is no stranger to the pressures of a big tournament. He will defeat his lesser accomplished opponent and second seed, Craig Brester of Nebraska in a semifinal match-up that is sure to be exciting….In previous meeting, the #2 and #3 seeds have split, with Taylor owning the win in the National tournament in the 3rd place match back in 2008. While he has struggled down the stretch, one wrestler who you cannot help but keep an eye on is Oklahoma State sophomore, Allan “Z” Gelogaev. A loser of five of his last six bouts, the Russian wrestler hardly will go into the tournament with momentum on his side. However, what he should have, is the mentality of a champion. A star pupil of the legendary Buvaisar Saitiev (3x Olympic Gold Medalist; 6x World Champion), Gelogaev entered the 2010 season as one of the most feared takedown artists in the nation. Known for his big throw potential, Gelogaev has struggled against the upper-echelon guys this season. However, what better a time to reverse his fortune than this week. With a freestyle win over 2008 U.S. Olympian, Andy Hrovat on his resume, it is clear that the natural ability is there for the Cowboy wrestler to do great things. But, only he will determine whether that ability translates into success in Omaha. This weight has team standing implications. If Cornell’s returning AA, Simaz, is able to finish at seed or better, it’ll go a long way towards supporting the Big Red’s run for the title. New York alumni and 1x state champion, Eric Schuth finds himself on the top half of the bracket and opens against Brent Haynes of Missouri, the 12th seed. The upper-bracket semifinal bout is likely to see a rematch of 2009’s semifinal when Konrad Dudziak defeated David Zabriskie of Iowa State by 3-2 decision. 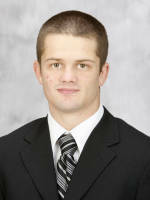 Dudziak went on to take the silver medal in 2009 when he lost a tie breaker by 3-2 decision to Mark Ellis of Missouri. Iowa senior, who defeated Zabriskie in the consolation semifinals of last year’s national tournament is another guy that needs to be in the discussion to emerge from the top half of the bracket. Sidelined for the majority of the season by injury, since returning to the line-up, all Erekson has done is proceed to go undefeated and win his second straight Big-10 title. Another of the Hawkeyes who embrace the Iowa style, the #5 seed likes to test the heart of his opponents by constantly attacking…In addition, for a big man, he has above average mat skills and is capable of locking something up, as was evident when he put then undefeated wrestler, Nate Everhart (Indiana) in a cradle for 3NF…It was this cradle that ended up being the difference in his finals victory. In fact, if Erekson had a full season under his belt, I might be tempted to make him my pick as champion. However, what concerns me is that having missed such a significant amount of time, his endurance level might not be where it needs to be at this point of the season. The same concern holds true of Dudziak who was out of the line-up for disciplinary reason. However, when push came to shove and I had to choose one, I went with the guy who many felt got robbed in last year’s NCAA final. Zach Rey, a redshirt sophomore from Lehigh, has scored a number of overtime victories of the type that normally wins championships at heavyweight: low scoring and overtime. 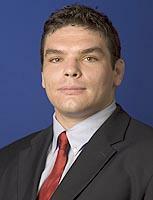 In the EIWA championship he won 2 overtime victories for the Gold. He faces Jared Rosholt of Oklahoma State in the semifinals, an opponent he lost to by fall earlier in the season. Rey will win this rematch in overtime fashion to compete against Dudziak for the Gold. Josh Arnone, a former All-American, looks to be shaking his nagging injuries. He’s capable of defeating any opponent at this weight. Arnone will earn All-American honors in 2010 and propel Cornell to the title. 3x Colonial Champion, Ed Bordas, is back for one last shot at the All-American honor that has escaped him thus far in his collegiate career. Known mostly for his defensive style, if the Bronc wrestler is to have any success in Omaha, it is going to require that he continue to keep solid position on the feet and then apply his customary tough ride from top. A winner of 32 matches this season (including 16 or his last 17) Bordas has the added mental advantage of knowing that he owns a previous 2010 victory over 1st round opponent, Erik Nye of Arizona State (3-2 tb in early December)…What concerns me is that even if history repeats itself and the Rider senior does emerge with the “w”, he will more than likely run straight into the top-seeded Zabriskie…Hence, 285 might be yet another weight class where the local boy has to do the bulk of his damage in the outbracket portion of the tournament. Thanks Matt for sharing your predictions….As a reminder all readers are more than welcome to do the same. Perhaps if we get enough predictions, we can put together a little contest and declare a winner with a modest prize. A couple of things worth mentioning at 157 — JP tormented Sanderson at the Sprawl and brawl this year, in what was very uncharacteristly an offensive/defensive match for him; he turned his defense into a very aggressive offense and totally dominated the match. It was the best match I’ve seen him wrestle because of it. And Bowman, though a 3rd period wonder, doesn’t stand any real chance of being in the finals, and a very, very slim chance of placing; his wrestling, though impressive, isn’t all-am impressive, and depends on a totally dominating 3rd period against a worn out opponent…not too likely at that level. gotta love the video of each projected winner…thanks guys. 17 picks out of 20 still alive in the championship bracket. 11 picks out of 20 still alive in the championship bracket.